Performance meets ecology: our high tech ski touring backpack made from bluesign® certified primary materials with a wide range of use and innovative attachment options in a new design. The side ski attachment points are also good for wide freeride skis and splitboards. Skis can also be attached diagonally. 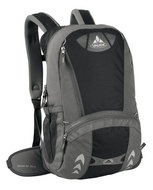 The front attachment loops for skis, snowboard or snowshoes can be cleanly stowed in the safety compartment. The large, exterior safety compartment is very easily and quickly accessible thanks to an easy-glide zip and offers space for shovel and probe. 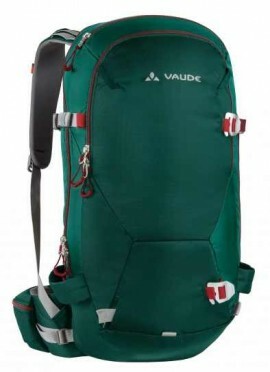 Enough storage space for a hydration bladder, provisions, clothing and other gear is found in the main compartment which can be further opened using the long zip. With a padded compartment for ski goggles as well as helmet holder. 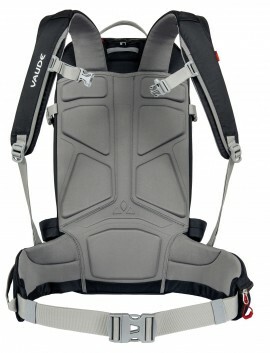 The contact back ensures a stable, body hugging fit. 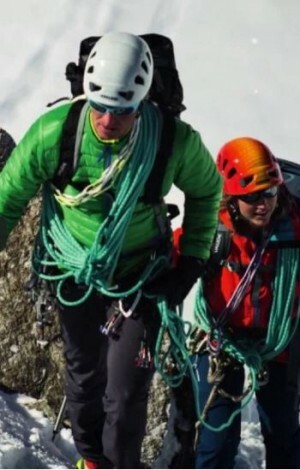 The rather narrow yet comfortable hipbelt offers not only good stability, it can also be worn with a harness for ski mountaineering, abseiling and on glacier tours. An ideal backpack for day trips, freeriding and alpine snowshoeing. The Green Shape quality seal stands for environmentally friendly and resource-conserving manufacturing under the strict bluesign® standard.